These findings are described in the article entitled The performance of the BepiColombo Laser Altimeter (BELA) prior launch and prospects for Mercury orbit operations, recently published in the journal Planetary and Space Science (Planetary and Space Science 159 (2018) 84-92). This work was conducted by G. Steinbrügge from the Institute for Geophysics, University of Texas at Austin, A. Stark, H. Hussmann, K. Wickhusen, and J. Oberst from the German Aerospace Center (DLR), Institute of Planetary Research. This work was also described in the article entitled Viscoelastic Tides of Mercury and the Determination of its Inner Core Size, recently published in the Journal of Geophysical Research: Planets (Journal of Geophysical Research: Planets 123, 10 (208) 2760-2772). This work was conducted by G. Steinbrügge, S. Padovan, H. Hussmann, A. Stark, and J. Oberst from the German Aerospace Center (DLR), Institute of Planetary Research, and T. Steinke from the Delft University of Technology. When asking about a remote and sunny place where you can quietly watch the rising and falling tides, the planet Mercury is probably not the first location people might come up with. However, it certainly satisfies the first two criteria as no other place, being on average 77 million kilometers away from your nasty neighbors here on Earth and reaching cozy surface temperatures of up to 430 °C. Only the third point might be less obvious. Are tides not restricted to oceans, and isn’t Mercury just a small, dry, cratered piece of rock floating in space? The answers are no and, well, not really. While tides are most familiar to us when being at the coasts, observing the sea rising and retracting, it is a phenomenon not restricted to the oceans. Also, the solid ground underneath our feet is affected by tidal forces. In fact, the solid Earth can extend up to 40 cm at the equator due to tides. But generally, that happens without our notice since, when not at the coast, everything around us moves at the same pace. At the origin of these forces are the Moon and the Sun whose gravitational pull, or better, their temporal variations in gravitational pull, lead to the phenomenon we describe as tides. 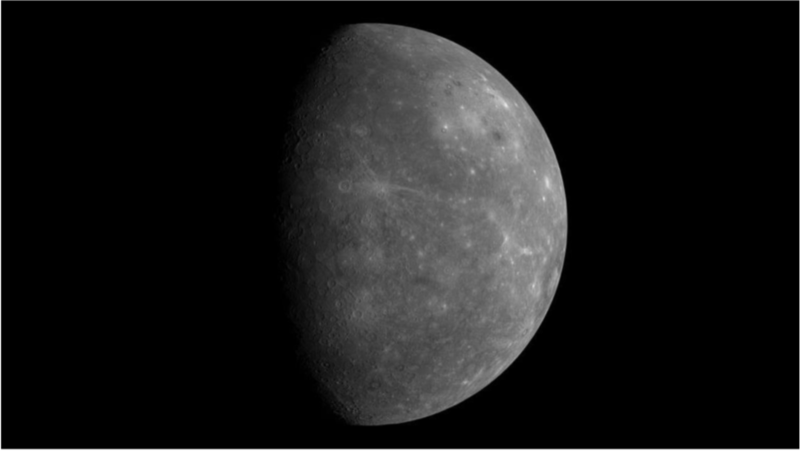 Now, while different from Earth — Mercury is a lonely voyager without a moon — it is much closer to the Sun and, by consequence, the gravitational forces exerted on the planet are much larger. It turns out that Mercury’s reaction to these forces can tell us a lot about the interior of the planet. Already from our experience on Earth, we know that fluids and solids have a different reaction to tidal forces. While on land, the vertical movement is only a couple of tens of centimeters, the ocean tides can easily reach more than a meter. We notice this difference while peacefully lying at the beach when our towel gets suddenly flushed away. On Mercury, this property has been used to demonstrate that most of Mercury’s core is liquid. Measurements performed by NASA’s MESSENGER spacecraft revealed very small variations in the gravity field of the planet as you would expect from a liquid wobbling around in the interior. Based on these results, a recent study calculated the expected tidal amplitudes on Mercury’s surface which would reach up to 2.3 m at the equator, despite the surface being completely solid. But the deformations could also be smaller and that links to one of the major unsolved questions we have about Mercury’s interior structure. We know that most of Mercury’s iron core is liquid but not necessarily all of it. It is possible that, with the increasing pressure in the deepest interior, the iron solidifies and forms a solid inner core. This would resemble somewhat the iron core of Earth which is also subdivided into a liquid outer and a solid inner part. Knowing whether Mercury’s core contains a solid part as well would be an important constraint on how Mercury’s magnetic field forms and how the planet evolved. It is not evident at all how such a small planet is able to generate its own magnetic field and we do not yet fully understand why that happens. The new paper shows that measuring the surface deformations could actually help a lot in solving this question. Fortunately, the right tool is already on its way. On October 19, ESA’s and JAXA’s BepiColombo mission was successfully launched in Kourou (French Guayana) onboard an Ariane 5 rocket and set course for a seven-year-long journey to Mercury. 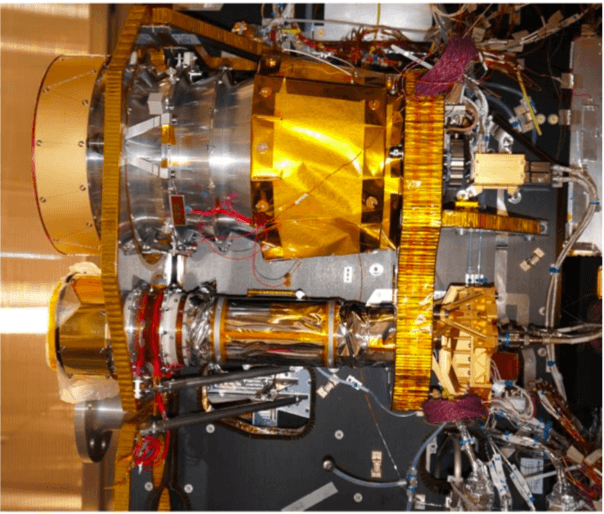 One of the instruments carried by one of the two spacecraft of the mission is the BepiColombo Laser Altimeter (BELA) which is capable of mapping the whole planet in 3D. By shooting short laser pulses and measuring the roundtrip time of the light when it gets reflected from the surface, it is able to perform range measurements with a vertical resolution of 10 cm. Doing this over the complete mission lifetime it will also be able to detect the predicted changes due to tides. BELA is the outcome of a collaboration between the University of Bern, the German Aerospace Center (DLR), the Max Planck Institute for Solar System Research, and the Instituto de Astrofísica de Andalucía. Detecting surface tides of a planet from orbit is a very challenging measurement. While we predict that various bodies in our Solar System are exposed to significant tidal deformations, this has only been confirmed so far by gravity measurements. Radial deformations have only been measured for the Earth and the Moon. However, with BELA on its way, there is a good chance that Mercury is joining this selection. And then you’d better watch out for your towel before it gets flushed away by liquid iron. This article is based on two recently published papers linked here below. The new results about Mercury’s tides and the relation to Mercury’s inner core are published in JGR-Planets. And in case you are interested in the nerdy little details of the BELA performance and tide measurement you can check out the article published in the Planetary and Space Science. Gregor is a postdoctoral fellow at the University of Texas at Austin Institute for Geophysics.